VOX provides consulting and solutions to enable today’s most efficient Contact Centers. 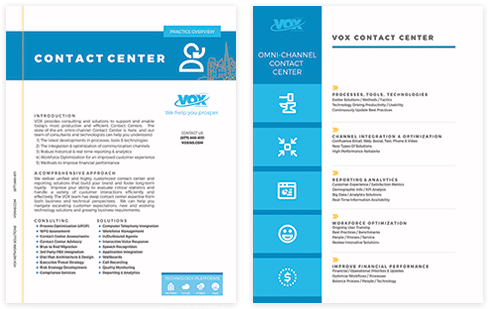 VOX provides consulting and solutions to support and enable today’s most productive and efficient Contact Centers. The state-of-the-art, omni-channel Contact Center is here, and our team of consultants and technologists can help you.